Coffee#1 is a great place to meet for a first date, where the cosy, relaxing atmosphere can help you get to know your date while grabbing a delicious cup of coffee or even sharing a very tasty bosco cheesecake. #1. Tell me something I’d never guess about yourself? A great question for breaking the ice, it also serves as a more mischievous way to find out more about the person without having to ask tired questions like ‘What are your hobbies’ etc. What’s more, asking about things you would find unexpected helps you get a more in-depth impression of your date and breaks away from any preconceptions you may have had. #2. What’s the most spontaneous you’ve ever been? Give your date an opportunity to tell a fun story, while at the same time getting an insight into how adventurous they are – do they travel to a different country on the spur of the moment, or prefer to plan ahead and feel uncomfortable in spontaneous situations? #3. Who is your non-celebrity role model? Finding who in your date’s life has had the most influence on your date provides you with a better understanding of the relationship they have with their closest friends and their family. It’s also a question that requires a little more thought than simply picking a famous person who inspires them. #4. What is your favourite childhood memory? This question is an excellent gateway to sharing embarrassing stories about your childhood, providing time to revisit fond memories and talk about the journey to where you are now. #5. If you could only eat one dish for the rest of your life, what would it be? Cuisine is always a safe topic for a date – not only does everyone love talking about food, but it is also a fantastic way to discover more about the other person’s character and lifestyle – do they like comfort food or healthy eating? Do they have exotic tastes, or shy away from dishes which seem too adventurous? You could even learn about some peculiar allergies or dislikes – which is not only fun, but could prove useful when you are planning the next date or buying them a surprise treat! What’s great about these lines is that you don’t have to limit them to dates – most of them work just as well to keep conversations flowing regardless of the setting. So feel free to try them out at dinner parties, drinks with work, and more. Why not drop into your local Coffee#1 with a friend and try a few out? 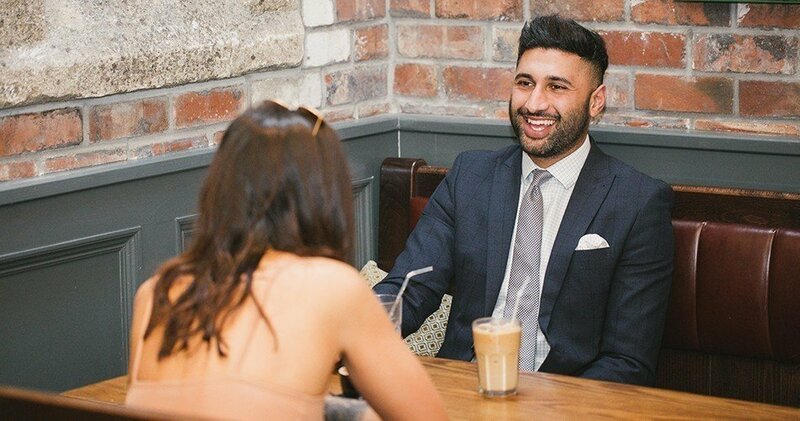 Let us know what lines work for you – email us with your best conversation starters at take5@coffee1.co.uk.